Legendary's live-action Pokemon movie is quickly moving forward, with Nicole Perlman (Guardians of the Galaxy) and Alex Hirsch (Gravity Falls) signing on to write the script back in August. Today we have word that the studio has found its director, with Rob Letterman (Goosebumps) coming aboard to take the helm. This project is said to be the first in a planned franchise, entitled Detective Pikachu, with the story centering on this title character. Pokémon first debuted back in 1996, with the franchise kicking off its 20th Anniversary celebration with a Super Bowl commercial earlier this year. With more than 279 million video games sold worldwide, 21.5 billion TCG cards shipped to 74 countries, and an animated series spanning 19 seasons, Pokémon is one of the most successful entertainment brands in the world. This summer, The Pokemon Group launched the revolutionary augmented reality app Pokemon Go, which has already become a worldwide sensation. 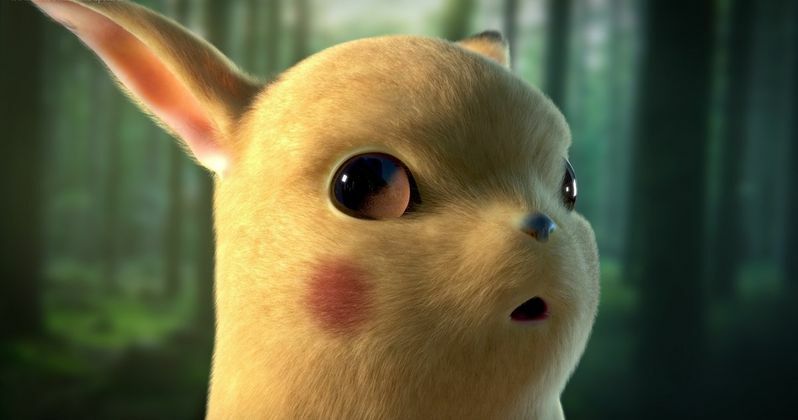 The Detective Pikachu character was first introduced in a Japanese video game entitled Great Detective Pikachu, which debuted earlier this year. No story details have been given yet, but Universal Pictures will handle distribution of the live-action film outside Japan as it has done with Legendary's other films for years. The Pokémon Company's long time movie collaborator, Toho, will handle distribution of the film franchise in Japan, as it had similarly done in its partnership with Legendary on the iconic monster reboot for Godzilla. Legendary and Universal haven't announced a release date for this Pokemon movie quite yet, and no story details haven't been released yet either. Rob Letterman is coming off the R.L. Stine adaptation Goosebumps, which grossed $80 million domestically and $150 million worldwide, from a $58 million budget. The filmmaker's other directing credits include the family-friendly animated adventure Monsters vs. Aliens, Shark Tale and Gulliver's Travels. With production slated to begin in just a few months, hopefully we'll have word on casting for Detective Pikachu soon.